Japanese Beetles are back and they are hungry! 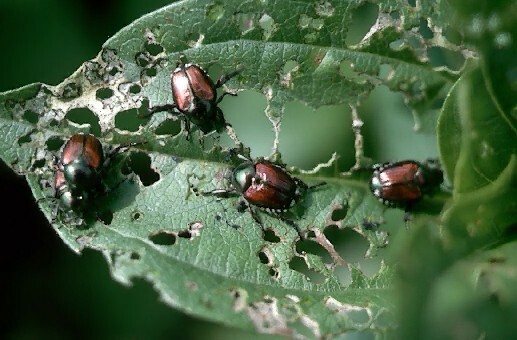 Japanese beetle are eating machines that seem to loves tender foliage and blooms. They enjoy roses, crape myrtles, grape vines, okra, beans, and many other plants. Fortunately, they are easy to control. During the active beetle stage of life either dust them or spray them with our Garden and Pet Dust or Indoor/Outdoor Spray. To stop next years return, you will need to control the grubs in the spring or fall. Controlling the grubs also stops them from eating your plant roots. Choose from our organic Milky Spore for 10 - 15 years of protection or for fast acting control, use our Grub Free Zone granules.